There is much talk in recent weeks about Xiaomi Mi 6, the future flagship of the famous Chinese company. Rumors today have to do with the odds of getting to know its new smartphone during this month's final stretch between April 11 and April 18, although many believe it will be accurate: April 16. According to Gizchina news, this information can be reliable, because of course it is accurate. 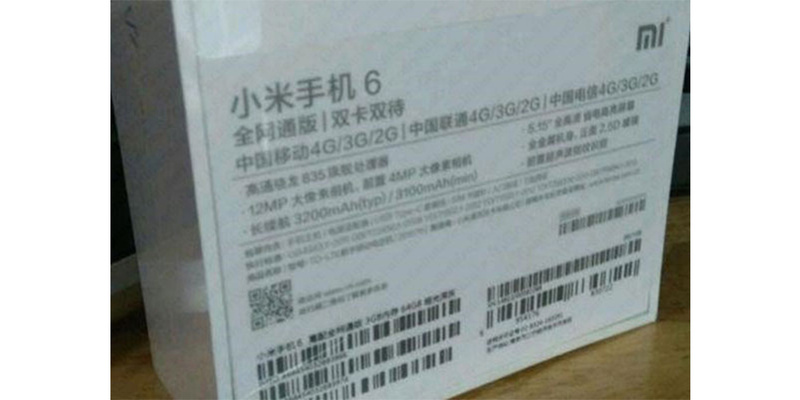 During a live streaming, Lei Jun fact himself confirmed that the Xiaomi Mi 6 will arrive in April. However, it has given a time interval, rather than the exact date. In any case, and as has been indicated, in the coming days could begin to circulate photos of the press invitations, which would include more information about the Xiaomi smartphone. According to the latest rumors, the Mi 6 will be presented in three different variants, including a high end device with 6 GB of RAM and 128 GB of storage, characterized by a ceramic finish. The other two variants should be 4 GB RAM and 32 GB internal memory, and 4 GB RAM and 64 GB and internal memory. Another quite widespread rumor, given the level of quality of this flagship, would confirm the presence of Qualcomm's latest SoC, Snapdragon 835. As for the camera, this section could be especially interesting, contradicting the quality in previous years, with the same sensor Sony Motion Eye that equips the Xperia XZs and Xperia XZ Premium, but with a maximum resolution of 30 megapixels. Regarding the screen, this will vary depending on each variant, being the minimum of 5.15 and the maximum of 5.7 inches. The Chinese company has already received a green light from China Compulsory Certiifcation (CCC), a further indication of the imminent official announcement that will announce the new and expected Xiaomi smartphone.